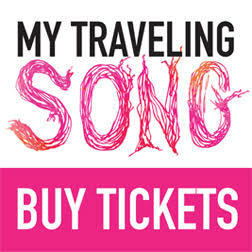 “My Traveling Song” is an original play that celebrates the relationships between caregivers and young children through performance, music, and imaginative tactile play with natural elements such as earth, water, wind and light. The show is especially created to be experienced in pairs or small groups by children ages 1-5 and a grown-up that loves them. Click here to learn more. Sign up for our email list here and follow us on social media for the latest updates!